This little guys name is Finnigen and the pictures were submitted courtesy of one of out readers Valerie. Thank you Valerie! They are small sized (6-9 inches) reptiles with a carapace that features three well-defined keels from front to back. These amiable turtles have broken yellow lines on their heads and necks in addition to their shell color ranging from black to tan. These diurnal turtles are more rectangular shaped than round. 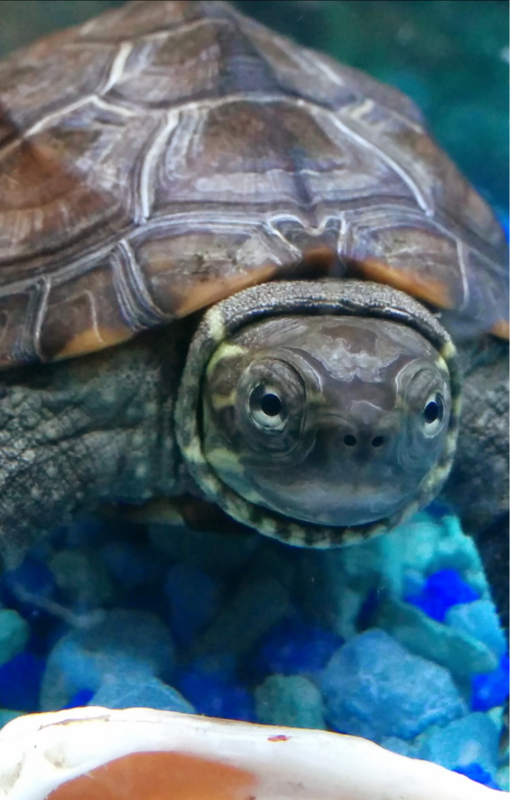 With proper diet and care, these turtle are real life companions that can live up to 20 years. 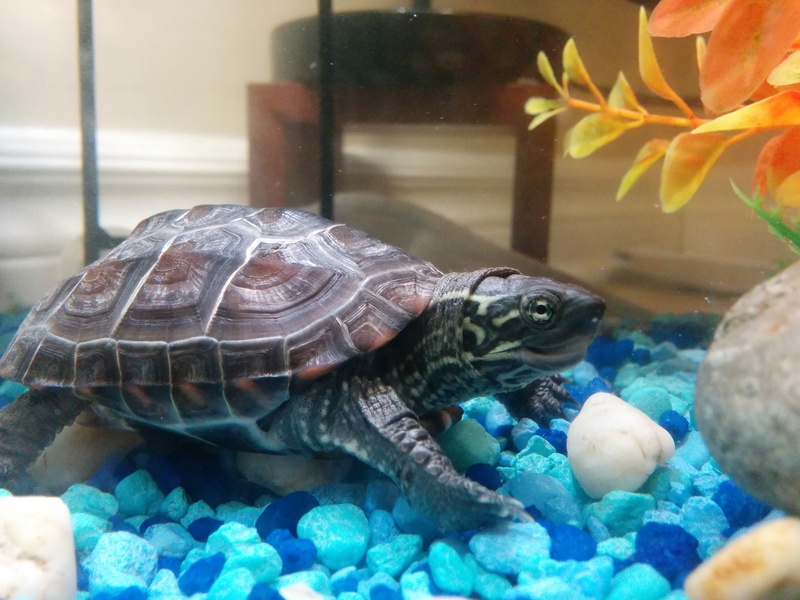 Where is the Reeves turtle found? Originally from China, these turtles are primarily found in Eastern Asia and their range spans China, Korea, Japan, and Taiwan. They are also known as the Chinese pond turtle or Chinese three keeled turtle. They are pond turtle that prefer sluggish waters with soft bottoms, abundant aquatic vegetation and plenty of basking sites. They have also been found in marshes, swamps, and even rice paddies. Waddling pools or Koi ponds make excellent Reeves turtle habitats for they are not the best of swimmers. They are omnivores that enthusiastically feed on both plants and animals. They are especially fond of worms, small fish insects in addition to green leafy vegetables. They also ravenously enjoy tearing into water lettuce, duckweed, and water hyacinth in a voracious, messy manner. 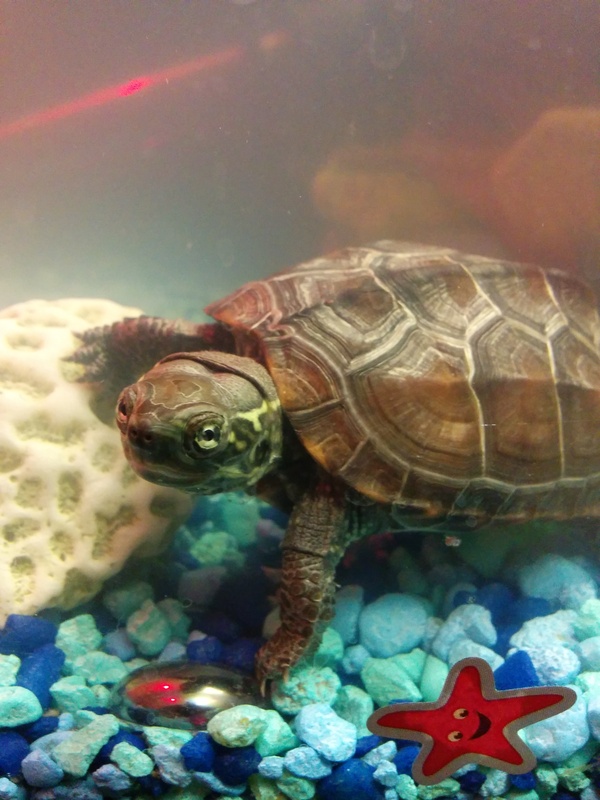 Most of the commercially available turtle diets as well as catfish foods make great foods for Reeves turtles. Calcium supplements are essential to these reptiles that grab and tear large food pieces with their front claws. However, food in high oxalic acids such as spinach and beet leaves should be avoided. In spite of their protective carapace, the Reeves turtles are largely housed in predator proof places to keep them away from carnivorous pets such as cats and dogs and protect them from possums and raccoons or any other predators. The female Reeves turtles are surprisingly prolific for their small sizes – they are perfect when seeking to have a horde of a palm-sized turtles with an amiable personality. In the northern hemisphere, the breeding season commences in spring and proceeds through mid-summer. The clutch size ranges from 2 to 6 eggs, and there are two clutches per season. The egg sizes and clutch are dependent on the body size of the females. The larger turtles, about nine inches in size, have larger eggs. Their eggs hatch after 50 – 80 days of incubation. The hatchlings are weak swimmers though they are almost exclusively aquatic; they should be housed in water less than 2 inches deep to reduce their susceptibility to drowning. Floating plants – live or plastics greatly improves the survival chances of hatchlings. The hatchlings are more omnivores compared to the adults, who eat more vegetable content, and in addition to pellets, ravenously consume worms, insects and thawed frozen fish. It is important to feed hatchlings at least once in day and caution must be exercised to avoid over feeding them. Water temperature should be maintained at between 70F- 80F, the ambient air temperature at between 75F-85F, while the basking area should be maintained at 85F-95F. These palm-sized turtles are inquisitive, and their social nature makes them a perpetual favorite among many a turtle enthusiasts despite their lack of vivid colors. Their delightful nature and pleasing appearance make them an excellent choice of pets to roam your house. In this video you can see a nice setup for a Reeves Turtle someone has made. We hope that this gives you some inspiration on how to make a home for your new friend.